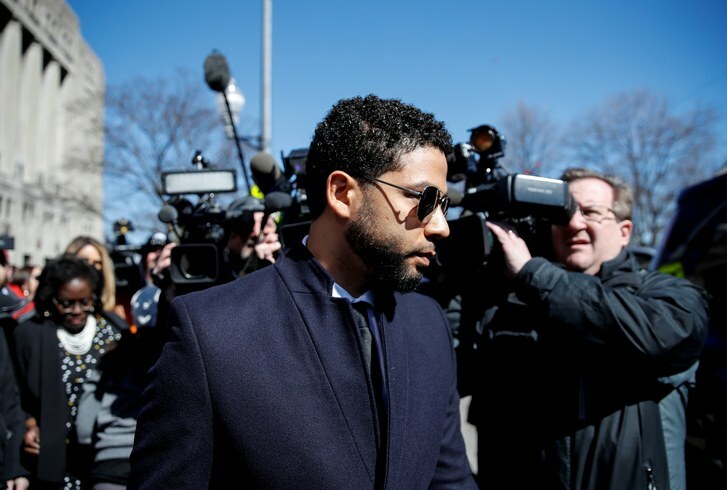 While actor and singer, Jussie Smollett, is in Hawaii having a grand ole time, lawmakers in Chicago are busy filing legal docs. According to SandraRose, the actor has been hit with a $130,000 lawsuit by the city of Chicago. Smollett was given 7 days to come up with the cash to cover the city's costs for investigating his hate crime hoax. The lawsuit was filed Thursday in Cook County Circuit Court, according to the Chicago Sun Times. Last month, the city presented Smollett with a demand letter for $130,000 after Cook County State's Attorney Kim Foxx sparked a public backlash by dropping 16 felony counts against Smollett. The 'Empire' actor, who is biracial and openly gay, said the attackers hurled racial and anti-homosexual slurs at him. Investigators later determined that Smollett staged the hoax with two brothers to boost his celebrity profile on the Empire soap opera. Abel and Ola Osundairo later confessed to their roles in the hoax. After Foxx dropped all charges, Chicago's police union called for Foxx to step down. President Trump also asked the Justice Department to launch an investigation into possible corruption in the state's attorney's office.